How to get legal services and advice on a lean budget. If there’s one truth in the world of business, it’s that every serious business needs a lawyer. Even the leanest startups and thriftiest entrepreneurs understand that it is critical to get their company’s legal paperwork and contracts in order. Whether that be articles of incorporation, intellectual property protection, business contracts, or foundational legal counseling, proper business can’t be conducted until legal issues have been thoroughly addressed. This is a lesson that many would-be entrepreneurs have learned the hard way over and over again. Take Michael Phillips for example. His company Vlingo had a partnership with Apple Corporation to develop a voice assistant similar to what would later evolve into the Siri application and integrated into every single Apple iPhone today. Unfortunately for Mr. Phillips, Vlingo got caught up in an intellectual property infringement lawsuit that, although it prevailed in the end, cost him the once-in-a-lifetime contract with Apple for which he invested decades working to achieve. "Retaining legal counsel is essential for the long-term success of every startup and new business." Legal issues, traps, and pitfalls are everywhere. 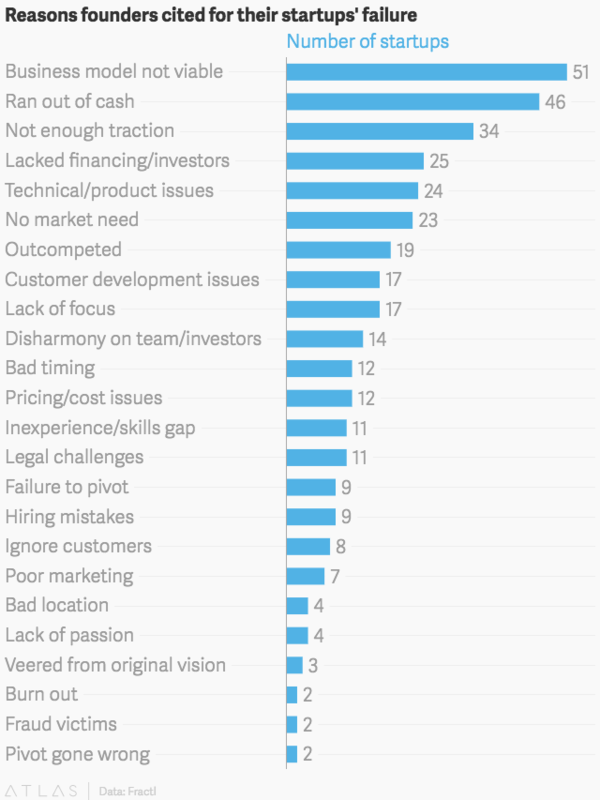 According to a recent study, 1 in 10 startups fail due to legal reasons. A CEO’s best defense against legal vulnerabilities, or exposure in legal parlance, is reliable, knowledgeable, and trustworthy legal advice before problems arise. Furthermore, the legal landscape is not static. New rules and regulations, as well as potential legal hacks and loopholes, are continually coming to the fore. Businesses themselves also evolve over time and management may not always foresee the multitude of new business and legal challenges that could present themselves in the near, medium-term, and distant future. Further, sound legal advice can also create value for the company that positively affects bottom line financials. That’s why many companies retain a traditional law firm in the first place - to have legal resources ready for when the legal challenges arise and to potentially increase company value. So how can startups go about obtaining quality legal advice on a startup’s lean budget? Take our free online assessment and see the potential savings for your company with General Counsel Services. Please note your information is safe with us. We will not sell or distribute your contact information to a third party. Lawyers are expensive. Retaining a lawyer from a traditional law firm can quickly blow the modest budgets of most startups and small businesses. Hiring a lawyer full-time is even less feasible. Lawyers are also necessary. Many companies end up paying attorneys the enormous fees they demand. However, for startups looking to reduce their legal exposure and to potentially increase their value on a reasonable budget, there are options. While legal services are expensive, the protection a well-planned legal strategy offers is invaluable and can make or break your business. One in ten businesses fails as a result of legal problems. While templates may seem like an easy and affordable way to take care of some vital legal concerns, they should not be relied upon. Think about it this way: you would not buy just any shoe and expect it to fit. Furthermore, you would not even purchase the same shoe for different activities. Instead, you would only buy a pair of shoes that is both a comfortable fit and appropriate for the event at hand. Showing up to play basketball with a pair of flip-flops that are four sizes too big will inevitably end in disaster like an ankle sprain or, at the very least, a loss. Likewise, attempting to patchwork together a legal strategy and legal protections from a series of internet websites will likely result in business-breaking bad decisions and legal troubles down the road. Retaining a traditional law firm is a tried and true method for reducing legal risks and liabilities. One of the benefits of retaining a conventional firm is that legal resources are available whenever problems arise and can be dealt with knowledgeably and effectively. However, it is also costly. One of the difficulties of engaging a traditional law firm has to do with the concept of leverage. Leverage is the ratio of the total number of lawyers in a law firm to the number of equity partners. Generally speaking, the more the leverage, the higher the fees. While this leveraged organization may be of some use to the largest of companies working on the largest of issues, it makes no economic or business sense for smaller companies. When a bill is sent to a client from a leveraged law firm, it not only includes the fees for the attorney directly involved but also fees for the equity partners, thereby pitting the client's financial interests against the leveraged law firm’s financial interests. Due to the organization of a traditional law firm, the pursuit of leverage is very much in the economic interest of the firm, resulting in inflated fees being charged to clients. Over-billing and over-staffing have become rampant in the legal field with many entrepreneurs rightfully wary of engaging traditional law firms outright. Multi-national corporations and other large employers can and often do hire their own in-house lawyers. While this may make financial sense from the perspective of a billion-dollar conglomerate, for most startups and medium-sized companies this is simply financially not feasible. General Counsel Services is a new way for startups and small to medium-sized businesses to obtain legal services and expert legal advice for a fraction of the costs of engaging and retaining a traditional, leveraged law firm. General Counsel Services, also known as GC, outsourced or part-time General Counsel services, involve a private practitioner who performs the functions of a General Counsel for many companies on a contract basis, and not as an employee. Unlike retaining a traditional law firm, the fees and hourly rates for such legal services are much lower than those of comparable outside leveraged law firms. Some estimates put the savings at 40 to 60 percent in otherwise lost attorney fees. This money can, as most entrepreneurs and CEO's would agree, be better spent establishing their core business, marketing, R&D, or a variety of other business needs. Retaining legal counsel is essential for the long-term success of every startup and new business. Unfortunately obtaining legal counsel from conventional leveraged firms is expensive. General Counsel Services by Phillips | Kaiser offers a new way for companies to get legal help, protection, and advice without breaking the bank or burdening their bottom line.